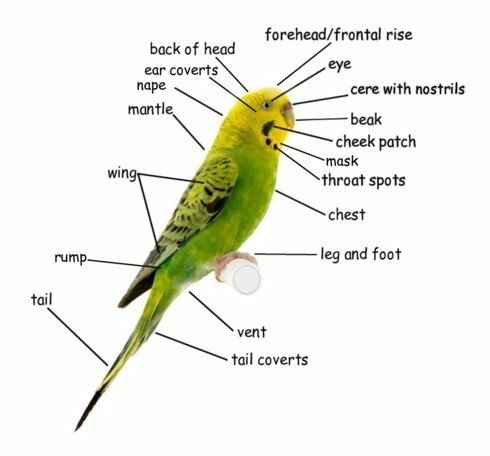 Budgie Body Parts - Learn Your Cere From Your Nape Here! Your budgies body parts are marked on the picture below. It is very useful to know what is what, and where it is!